Can you remind our listeners about the inspiration behind ITelagen? 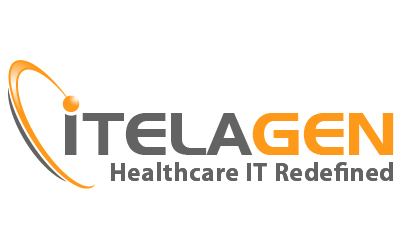 What new services and support does ITelagen have to offer since our last interview with you? Can you talk to us a little more in depth about EHRAnywhere? I understand that ITelagen was recently an exhibitor at NextGen UGM. Was it a successful show? What does the future hold for ITelagen? 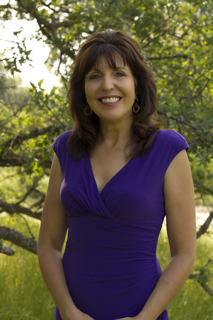 Simone Milasas the worldwide coordinator of Access Consciousness® and the creative spark that ignited Joy of Business joins eHealth Radio and the Personal Development Channel. 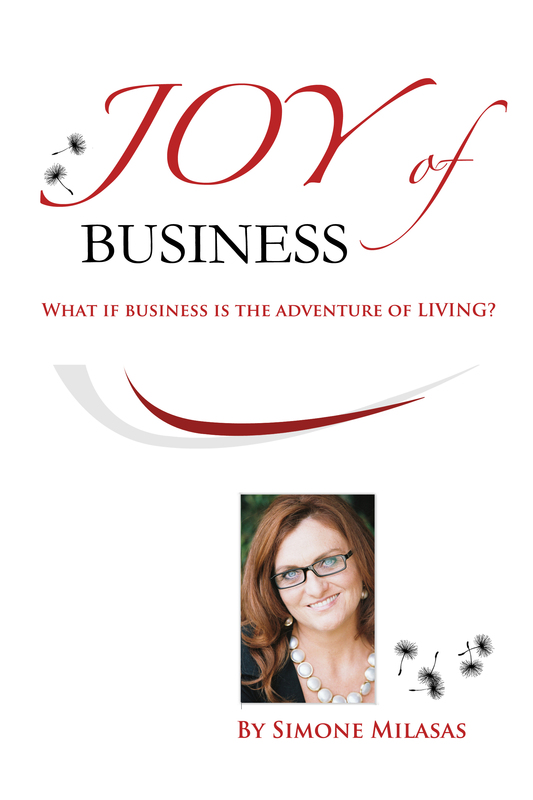 You are the author of Joy of Business? Those two don't normally come hand in hand can you tell us how the name came about? You were $187K in debt how did you turn your life around? What do you see a big mistake that most business owners do? You say business is an adventure? How do we start shifting our mindset that is has to be hard work? If people would like to change their money situations what do you suggest they do? What would you like everyone to know? Simone Milasas grew up in Sydney, Australia attending an elite private school with a strong desire to find out more about the world than what was shown to her. Simone desired to travel the world and experience people, cultures and countries first hand. Simone worked in many different industries and countries including helping create a new line for the London Underground, an Austrian Chalet to a Kamaki in the Greek Islands to name a few. Simone grew up with an enthusiasm for finding out about everything, she loved business from an early age and wished to learn everything she possibly could, hence working in everything from warehouses to national sales management to owning her own importing company from 3rd world countries. Simone has always believed that anything is possible and desired to inspire people to choose everything they could, thus creating one of her business’s Good Vibes For You – which was about inspiring people to choose, change and be different, which drew her to Access Consciousness. As a result of the travelling, creating business’s and working in many different industries and never ceasing to seek what she knew was possible, She is currently the world wide coordinator of Access Consciousness - a major multi million dollar company that operates in approximately 49 countries. 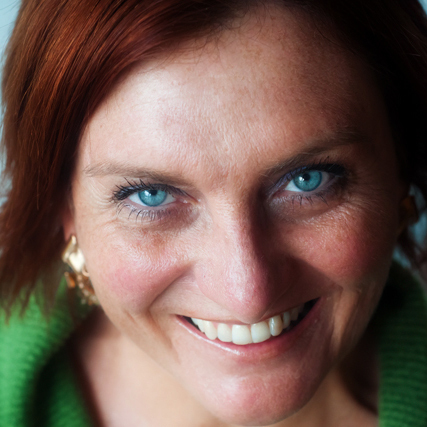 Simone has run the successful and growing Australian company for over 12 years now. After years of people telling her how different she is in business, Simone finally wrote a book called the Joy of Business and is currently working on her second book From Debt to Money Play. Simone does not have credentials for business but the pure joy of business, which is the difference that creates success and wealth. 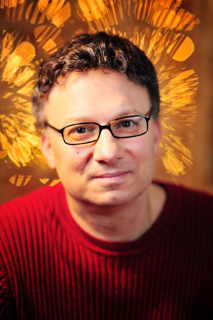 Thomas Gagliano, the author of the book The Problem Was Me with Dr. Abraham Twerski joins eHealth Radio and the Relationship Channel. Thomas is a life coach and a key note speaker with a masters degree in social work. What turned your life aound? How do we change the roles we're set up to play? Who is the Warden and how does he affect our lives? Why is your book different from other books? How do we enhance the intimacy in our lives? How do we strengthen our parenting skills? Tom Gagliano has worn many hats throughout his career. As a young man, he soon became a successful entrepreneur with a proven track record in small business ventures in the greater New York area. About ten years ago, Tom started to spend less time in the business world and more time helping those who suffered from negative childhood messages. To pursue a dream of helping others, he returned to school to receive an MSW at age 51. Today, he is a successful author, life coach, and key note speaker. 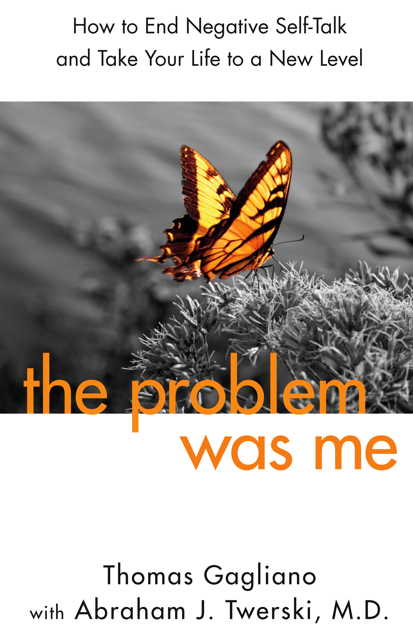 His book, The Problem Was Me, with Dr. Abraham Twerski, : How to End Negative Self-Talk and Take Your Life to a New Level is one-of-a-kind. It explores how we sabotage the happiness in our lives simply because we are so afraid of intimacy. We become our own worst enemy as we subconsciously push away our loved ones. Tom helps people understand why we push others away so we can enhance the intimacy in our lives. Chances are you’ve already heard Tom speak. He’s a regular on many national radio talk shows and often appears on the TBN television network. 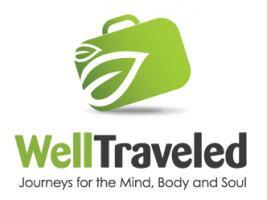 Jeri Donovan, owner of Well Traveled, a boutique wellness travel agency that plans customized wellness vacations joins eHealth Radio and the Health and Health News Channels. What was the catalyst for choosing this niche? Does this niche require special training? Are there certain destinations that embody wellness travel? How do you determine which resort to send clients? What are some wellness travel tips? Jeri Donovan is the owner of Well Traveled, a boutique wellness travel agency that plans customized wellness vacations. As certified Wellness Travel Specialists from the Travel Institute, Well Traveled creates personalized wellness vacations that are geared towards recharging, relaxing and rejuvenating your well-being. We specialize in active adventure, spa destinations, wellness cruises, yoga retreats and fitness vacations. Our clientele include solo travelers, couples, families and groups. Using our expertise and personal travel experiences, we match your vacation goals to the ideal destination or resort. As a full-service welless travel agency, we take care of all the details so all that you need to is pack. So whether you are seeking adventure in Costa Rica, need to relax at a spa in the Caribbean or desire to jumpstart a healthier lifestyle, Well Traveled is the wellness travel agency for you. 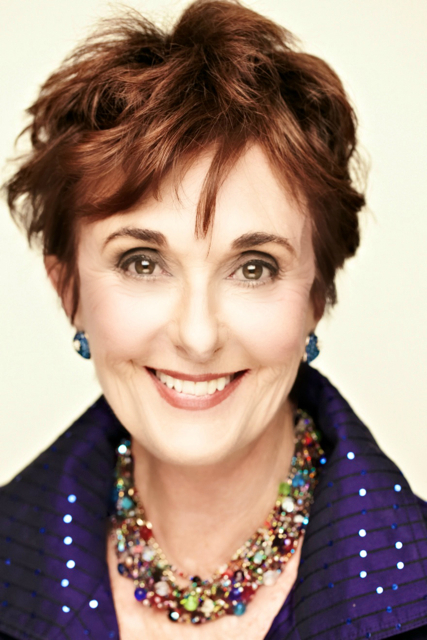 Judith August, Founder and President of Judith August Cosmetics, that specializes in corrective cosmetics joins eHealth Radio and the Beauty and Skin Care Channels. These cosmetics are designed to correct and conceal simple flaws to serious skin discolorations. How did you start your company, and why did you choose corrective cosmetics over color cosmetics? “When you look good, you feel good. When you feel good, you can change the world.” Why is this statement true? Who’s your audience? Are you starting to see more men buying your cosmetics? I understand you just wrote a book about corrective cosmetics. How do you use these cosmetics to cover those who have specific skin conditions such as rosacea, vitiligo, or even after cosmetic surgery? How do you see makeup and wellness? Judith August’s fascination with corrective cosmetics started many years ago when she was a photographic model in Los Angeles and New York. Plagued with terrible bags under her eyes, she studied lighting, art, and make-up application to conceal this flaw and traveled on the modeling path for 15 years. As a former model, make-up artist, and lecturer, she spent years guiding individuals in the Art of Camouflage Make-up. It was through her work as a consultant to plastic surgeons and their patients, that THE EVERYTHING PENCIL™ was born. Today, she designs cosmetics that cover and conceal just about anything, from simple flaws to serious discolorations. This year, she published her book, Gotcha Covered -The Compact Guide To Camouflage Makeup. The perfect “go to” guide to learning the art of camouflage makeup. 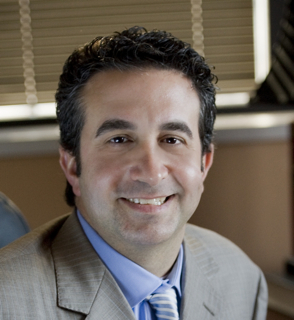 Dr. Jonathan Kaplan, a board certified plastic surgeon and founder of BuildMyBod.com, a website that lets consumers search for plastic surgery pricing information and local doctors joins eHealth Radio and the Plastic Surgery Information Channel. Tell us about your company called Build My Bod. Who searches for plastic surgery information? Tell us about the physicians on BuildMyBod.com – what are their qualifications? There is a BuildMyBod app as well? You write a blog as well – what are some of the typical topics our listeners would find of interest, and how do they subscribe? Is there a health tip about BuildMyBod.com you would like to give our listeners? Dr. Jonathan Kaplan, a board certified plastic surgeon originally from Alexandria, LA, is now proud to call San Francisco home. After completing his plastic surgery fellowship at the world-renowned Cleveland Clinic where he was trained by the same team that performed the first US face transplant, he practiced in Baton Rouge, Louisiana for six years before acquiring Pacific Heights Plastic Surgery in San Francisco. While in Baton Rouge during his first six years in practice, Dr. Kaplan built a busy cosmetic practice. His area of focus ranged from facial to body cosmetic surgery, as well as cosmetic medicine, including injectibles such as BOTOX for wrinkles and fillers for smile lines. Dr. Kaplan’s brother-in-law Dr. Mark Hausmann is a weight loss surgeon in Baton Rouge, and this resulted in Dr. Kaplan gaining a great deal of experience in body contouring after massive weight loss. Dr. Kaplan noticed that patients were coming to consultations without an appreciation for the different costs associated with plastic surgery. He found that most patients couldn’t find an estimate for plastic surgery on the internet and when they would call the doctor’s office, they would hear the same explanation. “The doctor can’t give estimates over the phone since surgical needs are different for everyone.” While it is true that everyone has unique needs, there’s nothing wrong with giving an estimate online so the patient can know if surgery is out of their budget. From that realization, BuildMyBod.com was born. 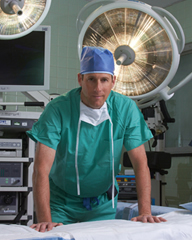 BuildMyBod is a website and iPhone/iPad app that Dr. Kaplan developed. It allows patients to find plastic surgeons in their area, peruse the various procedures the doctor offers and get itemized estimates on those procedures. In the process, Dr. Kaplan and the patient are connected through an email “wish list” that the patient submits. If the price is within the patient’s budget, this could lead to a consultation that is now more-informed and without the typical “sticker shock” that so many patients experience with their plastic surgeon. Television host, model and actress, Adrienne Janic best known as the co-host of the former TLC show "Overhaulin" will be seen this January as host of the new VERIA Living Network show "Fit, Famous & Fabulous" joins eHealth Radio and the Health Fitness and Nutrition Channels. How did you get into modeling & acting and at what age? What were some of your earlier types of modeling and acting jobs? How did you land the job on the popular TLC show "Overhaulin"? Did you know about cars when you started on the show? Is it true that you restored your own classic car? Tell us about it and about the experience? You are the host of the new VERIA Living Network series "Fit, Famous & Fabulous". The magazine format show will start airing in January and you have many famous people as guests. Who are some of the famous people you will have on and what sort of activities did you do with them? As someone who must stay in perfect shape in order to work in front of the camera, it must have been a little frightening when you got pregnant and saw your body changing so quickly? Were you worried that this could hurt your future career? What did you do to lose your pregnancy weight? What sort of diet did you go on? What types of exercises did you do or do you do now to stay in shape? What advice would you give to new mothers about finding time for themselves away from their children? Is it important for wives and mothers to have ME time? Adrienne Janic is the Host of the new VERIA Living Network series, FIT, FAMOUS & FABULOUS. The magazine format show will air this fall in over 21,000,000 homes and in over 55,000,000 homes by January of 2014. A top Ford model Janic is best known as “AJ” from the popular television series, OVERHAULIN’. Auto enthusiasts can still catch the gorgeous Janic in re-runs on TLC. Internationally, the series is broadcast in countless countries on The Discovery Channel. Adrienne Janic is also recognized as the Host of the Speed Channel series, HOT IMPORT NIGHTS. The show follows Janic as she takes cameras inside the nation’s largest touring automotive lifestyle event, show casing the world of cars, motorcycles, fashion, music and other trends! A top model, Janic has graced the covers and pages of countless magazines and print advertisements. Some of her favorite campaigns include a stint as one of the original Fanta Girls, Lee Jeans, Bausch & Lomb, Hewlitt Packard and Parallel Clothing. Her experience on the catwalk includes shows for such designers as Calvin Klein, Richard Tyler and Alan del Rosario. Kimberly Olson, a Certified Nutritionist and National Educator with Genesis Today, a leading superfood-based, all-natural supplement and juice company joins eHealth Radio and the Health and Nutrition Channels. This time of year, holiday treats are all around us…is there anything we can do to resist temptation? What are some tips you can share with our listeners that will help? What else can people do to ensure that they can enjoy some of the “holiday sweets”, yet still not gain weight? Kimberly Olson, MHN, CNC, CN, CPT, is a nationally renowned nutrition and fitness expert and the creator of www.FitKim.com, a nutrition and fitness blog that teaches people how easy it is to be healthy. 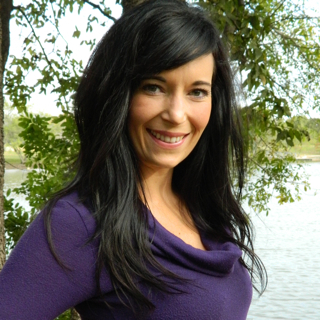 She has completed her Master’s Degree in Holistic Nutrition, become a Certified Nutritional Consultant & ACE Personal Trainer, and travels nationally public speaking. She has been consulting clients for over twelve years, and has developed a passion for combining nutrition and fitness. Kimberly is the author of The FitKim Lifestyle: Food & Fitness to Get YOU Fit!, a complete guide to teach readers everything they need to know to live healthier, become more active and learn how to finally lose those stubborn pounds. She is currently working on two PhDs in Natural Health and Holistic Nutrition, as well as her next book, Cooking with FitKim. Dr. David Lent, orthopedic surgeon and Chief of the Robotic Orthopedic Center at St. Johns Riverside Hospital joins eHealth Radio and the Othopedic Channel. This episode is brought The Expert Institute where you can connect with a local expert within 24 hours by simply visiting TheExpertInstitute.com. Can you tell us about your background, your education and how you decided to become an orthopedic surgeon? What kinds procedures do you commonly perform? How has the orthopedics industry evolved since you first became a doctor? Can you discuss any cutting edge techniques that are surfacing? Where do you see the orthopedics industry heading into the future? Licensed Clinical Social Worker Stephanie Manes, who has extensive experience and training in Individual, Couples and Family Therapy joins eHealth Radio and the Family and Relationship Advice Channels. By the time couples come in to you for therapy are most of their marriages too far gone to repair? What do most couples come to you for? What are the biggest mistakes you see couple's making that get them in the most trouble? When a couple's romantic life seems to have died off can they really bring back the spark? Do affairs usually mean the end of a marriage or can a couple ever really recover? Stephanie Manes is a Licensed Clinical Social Worker in with extensive experience and training in Individual, Couples and Family Therapy. She received her MSW from New York University School of Social Work and completed post-graduate certification in marriage and family therapy at the Ackerman Institute for families. In addition to maintaining a private practice in New York City, she teaches and supervises graduate students in the practice of couples and family therapy. Stephanie has been a part of several couples therapy research initiatives at Memorial Sloan Kettering Hospital and continues to act as a clinical consultant for the Center for Families and Health at the Ackerman Institute.